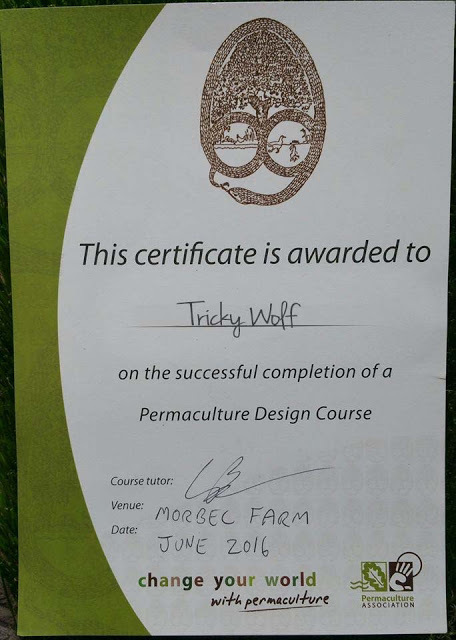 When we decided that we had our hearts set on this journey one of the first things we did was book a place on a PDC, a Permaculture Design Course. 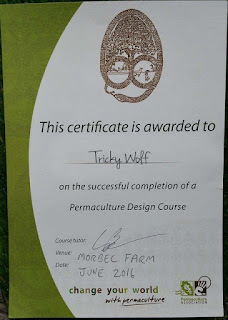 I did my course under the tutelage of Graham Burnett through his company Spiralseed. Graham is a fantastic teacher and has become a great friend, I thoroughly recommend booking a course with him. 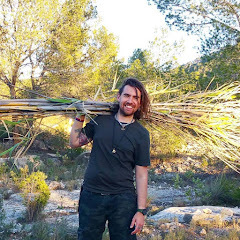 We thought that learning about permaculture would help us achieve our plans, but instead it was more of a revelation than we could have imagined, and has ultimately shaped our plans more than anything else. Our first action whilst we are waiting on building permissions for the house will be to put in the swales around the entire perimeter and to put the pathways in (shown in pink) for access around the plot and to avoid compacting the rest of the soil. Looks wonderful! I would work on getting that shelter belt in NOW versus in the future, as that will take the longest to establish and will provide so much benefit. Ooooooooo, this is exciting!! How neat to start with a blank slate. Intimidating, but also very very exciting! Your plans for your land look really exciting. Looking forward to reading about your move. This all looks really interesting and I cant wait to read more as you move to Spain! Good times are coming for you!! !